My wedding work is strongly inspired by my background in fashion photography, which allows me to create high impact images whilst still maintaining a relaxed, contemporary and approachable feel. With a fresh outlook on wedding photography I am able to catch a balance of natural candid shots capturing the happiness, emotion and genuine excitement of your big day naturally, as it unfolds, teamed with elegant portraits with a fresh editorial style. With weddings booked in locations ranging from churches, to manor houses and castles to those non traditional boho garden weddings, I love shooting them all!…if you’re planning something a little different, I would LOVE to hear about it! 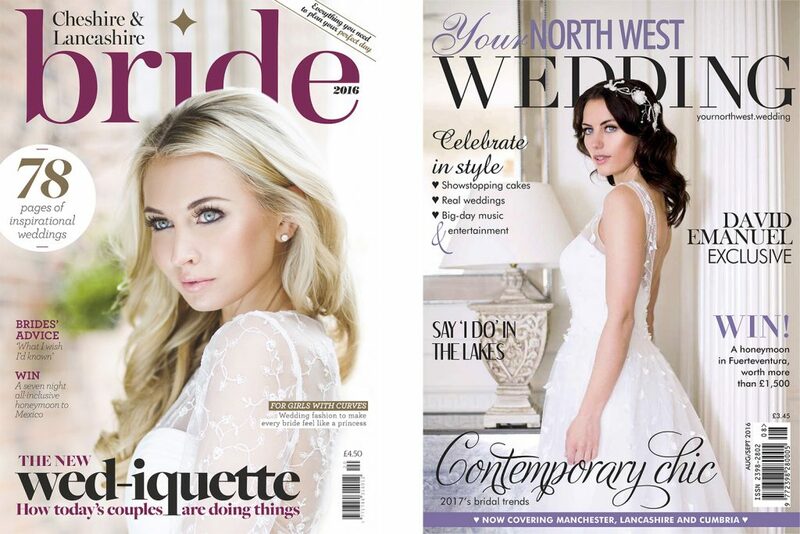 I am lucky enough to of been included in several wedding publications, Having front covers on both Lancashire & Cheshire Bride magazine and Your North West Wedding. As well as these i have also been featured in The Ultimate Wedding Magazine, and been lead photographer featured in Your North West Wedding Magazines A-Z of the Fylde’s wedding industry. Not only do i shoot weddings in the Fylde which is where I am based, I travel all over the UK and also abroad for destination weddings. I have already been fortunate to be booked to shoot weddings in both Florence and Lake Como in Italy and I am available worldwide for further bookings. For further information on this please do get in touch. I believe wedding photography is a true investment… Once the confetti has settled, your photos are something you can look back on year after year to bring the day and all its fond memories back to life. I appreciate everyone’s wedding is completely different which is why I offer several packages dependent on how much coverage is needed on the day, for all 2017/18 enquiries please do get in touch for availability and pricing information!